Picture a city that is home to the world’s smallest park measuring just 452 square inches, the world’s largest annual naked bike ride with more than 13,000 riders, a dormant volcano within its limits, and a bookstore that takes up an entire city block. Now, add a slew of gluten-free restaurants, bakeries and food carts mixed with the relaxed attitude of the beautiful Pacific Northwest. I’ve traveled to Portland repeatedly, so I’ve had the personal pleasure of experiencing the quirkiness and gluten-free accessibility of the city. The eccentric side of Portland is satirically portrayed in the television show Portlandia. The bicycle-obsessed, fusion-food-loving, feminist-bookstore-owning hipster characters have garnered Emmy and Peabody awards for the show. Special diets had their day in an episode that featured a tongue-in-cheek Allergy Pride Parade. The city of slightly more than 600,000 residents has about two dozen completely gluten-free restaurants, bakeries and food carts. Brody adds that the “influx of amazing chefs into Portland [who] are looking for a more interesting food scene” has also led to the creation of many restaurants “willing to bend over backwards to accommodate” the gluten-free customer. Gluten-free blogger Annie Proctor moved to Portland after she visited and fell in love with its gluten-free atmosphere. “Portland has quickly become a very allergy-friendly city and many places are very knowledgeable about celiac disease, gluten intolerance and most dietary restrictions,” says Proctor, who writes about being gluten free at Annie’s Gluten Free Grub and highlights her favorite gluten-free businesses and recipes on her Instagram account. Overall Portland has emerged in recent years as a city with a thriving food scene. Chefs and culinary students with a desire to explore farm-to-fork techniques and locally produced food flock to Portland with an open mind and a desire to provide delicious dishes. Gluten-free diners benefit from the fresh ideas and cooking styles these innovative chefs bring with them. Dedicated gluten-free bakeries, restaurants and a relatively rare completely gluten-free brewery form an integral part of the dining scene. Many of the gluten-free restaurants in the city grew out of an owner or chef’s personal interest in gluten-free food. From there, others have embraced the challenge of accommodating dietary requests in their establishments. The Brooklyn House Restaurant, one completely gluten-free dining spot, opened in Southeast Portland in 2013. Co-owners Erica Litzner and Lisa Samuels and Chef Matt Wells knew before opening they wanted to stay away from any gluten. They also decided to make the restaurant peanut and soy free to accommodate a larger customer base. Litzner says she and her colleagues hope to take away the intense fear of cross-contamination felt by those with special diets as well as “offer support, compassion and an empathic ear” to their customers from around the country. 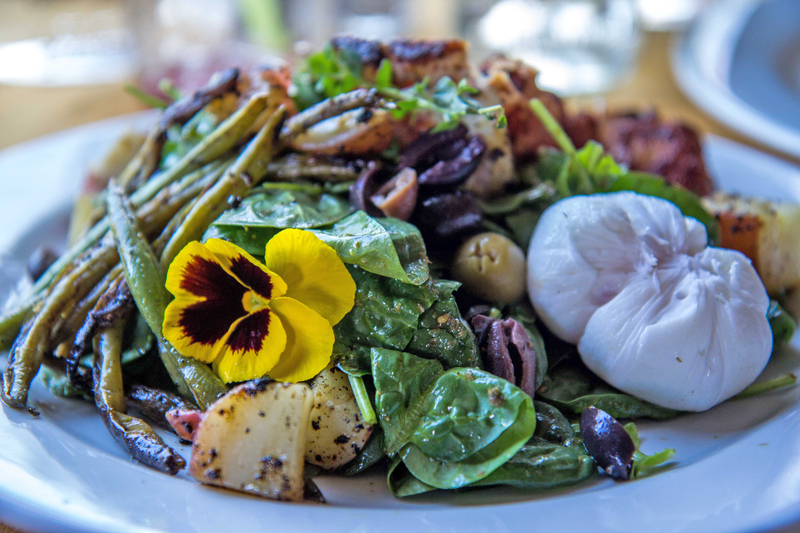 The menu at Brooklyn House is farm-fresh and changes every few weeks, featuring items such as seasonal greens and vegetables, line-caught Oregon Albacore tuna and even local duck eggs. The restaurant tries to accommodate multiple dietary requests including gluten-free, dairy-free, vegan, low-FODMAP and special-carbohydrate diets with its rotating menu. If you are a fan of fish, one of the three Corbett Fish House restaurants is the perfect place to dine in Portland. All three locations bring the Midwest tradition of fried fish to the Pacific Northwest. The original Southwest Portland location was so popular with the locals that the Corbett Fish House soon expanded to a second location in the Southeast part of the city. A third location is just over the Oregon border in East Vancouver, Washington. Great Lakes perch, local bay shrimp, Alaskan salmon, cod and halibut are specialties, as are onion rings and French fries made in dedicated gluten-free fryers. The only gluten-containing items in the restaurants are sealed packets of oyster crackers for soup, malt vinegar in bottles brought to the table only on request, and the beer on tap. The kitchens are gluten free. Gluten-free beer and cider are available in bottles, and gluten-free cider is on tap. Food carts are a way of life in Portland with 600 to 700 carts operating throughout the city. Often parked in clusters, known locally as pods, the food trucks draw long lines at the mid-day lunch rush and late into the night depending on the cart and the neighborhood where it’s parked. Portland’s food truck reputation is so positive that in 2010 Budget Travel named Portland as the city with the world’s best street food. 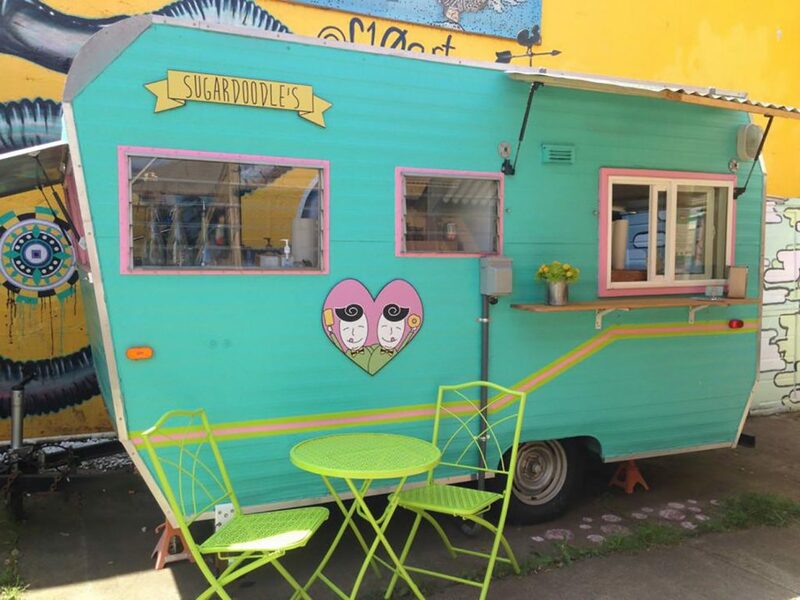 In April 2015, Leland Chazen and Linus Binns opened Sugardoodle’s, a naturally grain-free, gluten-free and vegan food cart serving sweet treats. Everything served is made to order and is also corn, nut and soy free. “Our flavors and textures are definitely not compromised,” Chazen says. The duo serves frozen and fried treats such as banana-based soft serve and mini donuts. They say their goal was to create “a space where people could come with all types of diets and find some of their favorite treats without fear of fillers, additives or allergens.” Over time, Chazen and Binns plan to add to the menu and extend their hours. The GF Chef Food Cart lives up to its name as a dedicated gluten-free operation that serves American comfort food, including sweet and savory waffles, biscuits, grilled cheese sandwiches and hush puppies. The biscuits, waffles, pancakes and chicken coating were so popular with regular customers that GF Chef launched an online store in 2014. The food cart, located in the Rose City Food Park in Northeast Portland, is open six days a week and should be on any gluten-free itinerary. You’ll find many other carts offering gluten-free at the food parks. Portland is also well known for craft-brewed beers, with more than 90 breweries in the metro area, according to the Oregon Brewers Guild, a non-profit organization that promotes the state’s brewing industry. And gluten-free imbibers can fully participate in the beer culture of Portland at one of the local craft breweries. Ground Breaker Brewing owner James Neumeister started dabbling in gluten-free beer as a home brewer after a friend was diagnosed with celiac disease. Neumeister says he thought it was tragic that people were missing out on the craft beer experience because of celiac disease. Today Ground Breaker is the only dedicated 100 percent gluten-free brewery and gastropub in the Western United States. Ground Breaker beers are made from roasted lentils and come in a variety of year-round and seasonal flavors. The Ground Breaker Gastropub opened in 2013 because of Neumeister’s love of “seeing people relax and enjoy themselves over [the] course of a meal.” The gastropub is located in Southeast Portland next to the brewery so visitors can sample the Ground Breaker lineup of beers while enjoying a completely gluten-free menu. Gluten-free desserts are bountiful in Portland. Petunia’s Pies & Pastries, Tula Gluten Free Bakery & Cafe, New Cascadia Traditional Bakery and Back to Eden Bakery are just a few of the dedicated gluten-free bakeries turning out artisan breads, pastries, pies, cakes and more. At New Cascadia you can also order from a rotating lunch menu that includes sandwiches and pizza. “We strive to make a baguette that has a true crust and crumb, a bagel that is boiled and can be held to the standards of good taste, no matter that it is made without gluten,” the bakery’s owners say. 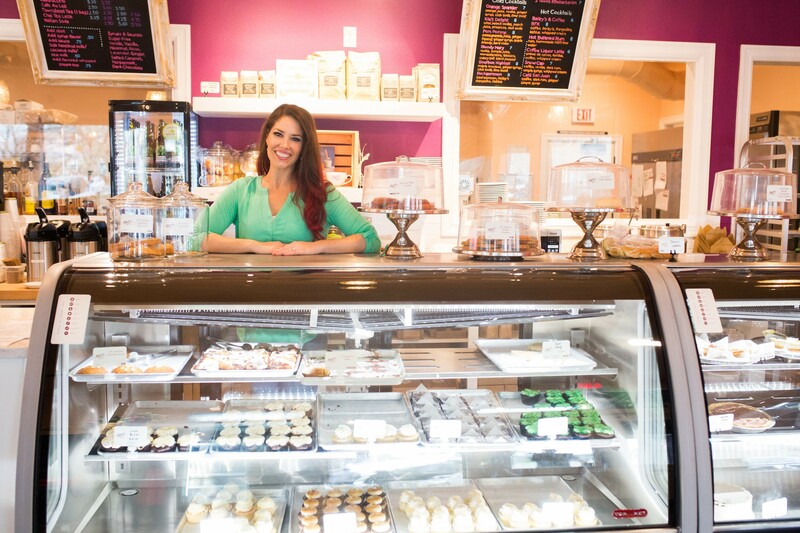 In neighboring Lake Oswego, Kyra Bussanich opened her original gluten-free bakery in 2009. Living with Crohn’s disease and gluten sensitivity Bussanich wanted to create high-quality, gluten-free food in a dedicated facility. Kyra’s Bake Shop moved around the corner in late 2014, expanding both the shop and the menu. Bussanich enjoyed her gluten-free cinnamon rolls and cupcakes, but says she did not feel good if she ate “only sugar all day long.” Recognizing the same might be true for customers, she added soups, salads, quiche, sandwiches and more to the menu at the new shop, where her personal favorite is the B.L.A.T. sandwich made with avocado aioli, bacon, tomato and lettuce on house-made gluten-free bread. Save room for dessert at Kyra’s Bake Shop, where the freshly baked pastries rotate daily. Shopping for gluten-free food during your trip to Portland is a breeze with a long list of farmers markets, natural and locally sourced food markets, and supermarkets throughout the city. 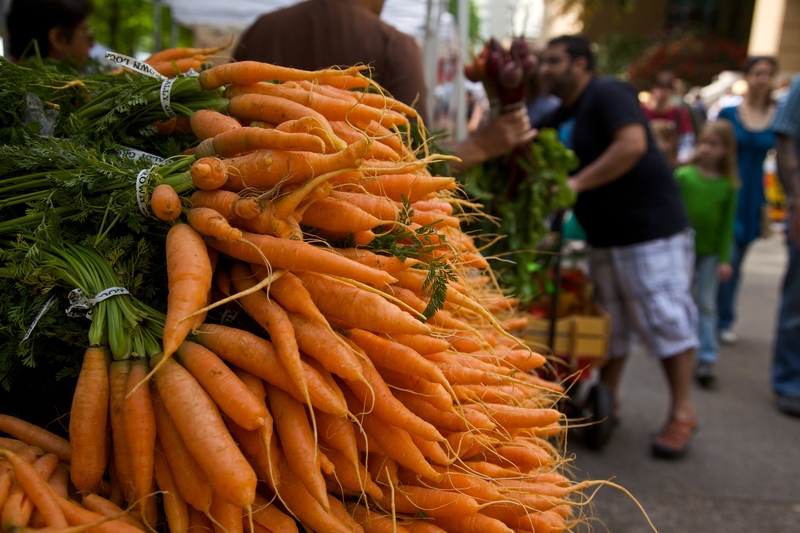 The city’s most famous market is the year-round Portland Farmers Market, which runs every Saturday morning on the campus of Portland State University. More than 200 vendors come and go throughout the year, including gluten-free vendors such as Happy Campers Gluten-Free, Eatin’ Alive and New Cascadia. Petunia’s Pies and Pastries got its start at the farmers market, and even after opening its brick-and-mortar location, it continues to sell gluten-free baked goods at the popular weekly market. While browsing the Portland Farmers Market, be sure to bring your own reusable bags and fill them with the abundance of naturally gluten-free local produce, meats, cheeses, chocolates and more. New Seasons Market, a Portland supermarket chain, gives gluten-free shoppers high priority. Nutritionist Kayla Petersen says staff nutritionists lead classes and tours related to gluten-free diets at most of the locations. Portland-area visitors who contact the store can get information on what’s available in advance by email, Petersen says. Ten New Seasons Market stores are in the city of Portland, and six more are within easy driving distance. While you’re certain to find your fill of gluten-free goodness in Portland, the city is about more than food, with plenty of activities to take up your time between meals. The Oregon Museum of Science and Industry is a fun destination for kids and adults. It features five unique exhibit halls with eight hands-on science labs. The museum is also is home to the Kendall Planetarium, the Empirical Theater, the USS Blueback submarine and many rotating exhibits. Located on the east bank of the Willamette River, it’s is easily accessible by foot, public transportation or car. If you are hungry during your visit, the on-site Theory eatery offers gluten-free options. Executive Chef Ryan Morgan says the staff does its best to avoid cross-contamination when handling gluten-free requests. “Employees remove their gloves, wash their hands, and make sure to use a new cutting board when a [gluten-free] sandwich order is received,” he says. The Theory menu changes eight times a year, so be sure to speak with the management about current gluten-free options during your trip. The 64-acre Oregon Zoo offers visitors an up-close look at 2,200 individual animals, including 260 species of birds, mammals, reptiles, amphibians and invertebrates, according to TravelPortland.com. Gluten-free buns and breads for sandwiches are available at concession stands throughout the zoo, but there are no dedicated gluten-free kitchens. Visitors are also permitted to bring their own food and drink into the zoo. If you love books or are looking for something to do on a rainy day, be sure to stop into Powell’s City of Books. This independent bookstore fills a whole city block with more than a million new, used and out of print books. Plan on getting lost for hours in the endless shelves as you explore the more than 3,000 sections of the flagship store in the Pearl District of downtown Portland. It’s open 365 days a year. From the moment you arrive at Portland International Airport, you can easily get around the city via public transportation. The TriMet MAX Light Rail System red line brings you right to City Center in the heart of downtown Portland. The MAX also connects the city of Portland with neighboring North Portland, Hillsboro, Gresham, Clackamas and Beaverton. Trains usually run every fifteen minutes, with less-frequent trains in early morning hours and late at night. If you plan on traveling around Portland for a few days via public transportation, a book of five-day passes for $25 is your most economical choice. The Portland Streetcar runs on weekdays from 5:30 a.m. to 11:30 p.m. and from 7:30 a.m. to 11:30 p.m. on Saturday, though service ends earlier on Sundays. TriMet day passes can be used on the Streetcar or you can purchase a Streetcar-only fare for $1.00. A quick look around Portland confirms that it is a city of bicycles. 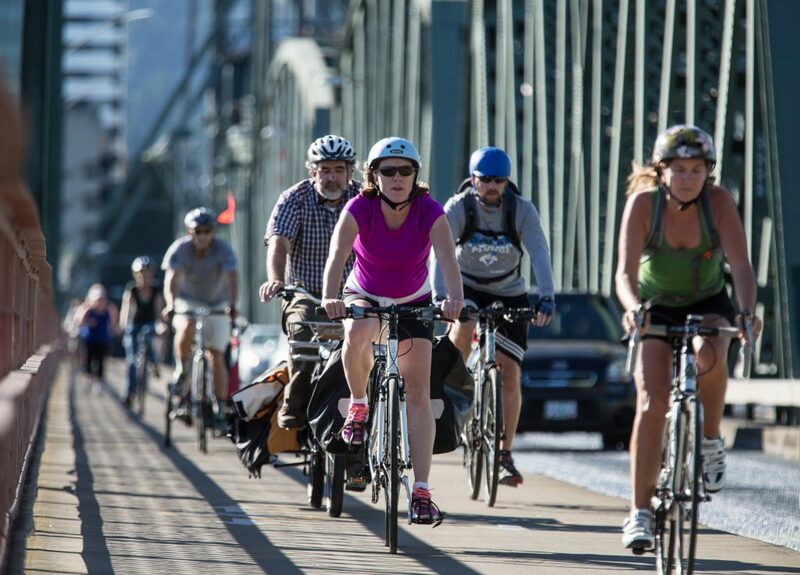 Portland has the most bicyclists per capita in the country, more than 318 miles of bike lanes, and the highest share of bicycle commuters in the United States, according to TravelPortland.com. Rent a bicycle and explore the city on two wheels to see the top tourist sites while getting a bit of exercise. There are multiple bicycle rental shops in Portland, with hourly to monthly rentals on everything from cruisers to road bikes to tandems. Bob’s Red Mill Natural Foods, which produces a number of gluten-free products, is located in Milwaukie, Oregon, 10 minutes south of Portland. 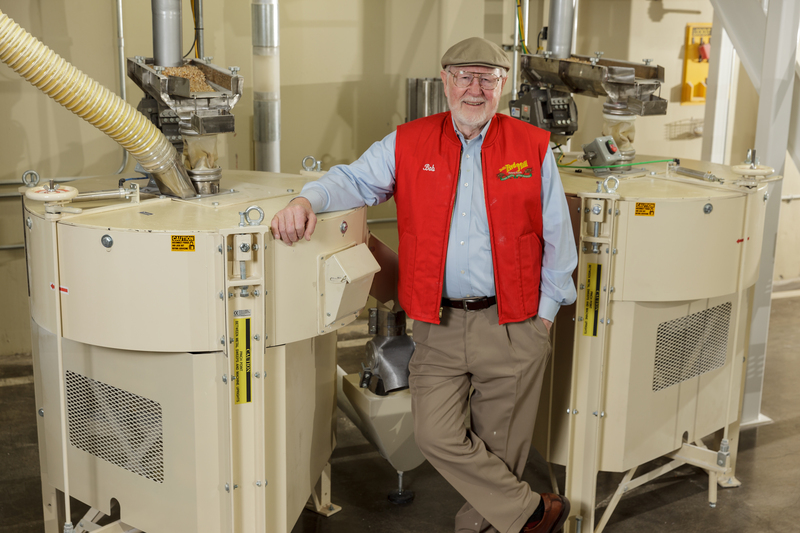 Visitors can tour Bob’s Red Mill World Headquarters, where gluten-free and conventional parts of the plant are kept separate. Each side of the plant has its own mills, machinery, employees and air filtration systems. Gluten-free grains and ingredients are stored separately prior to milling or mixing. Tours are available Monday to Friday starting at 10 a.m. and 11:30 a.m. and allow visitors to look through windows at the mill room from the gluten-free side of the facility, then check out the high-speed packaging lines in the conventional side of the plant. You can also visit Bob’s Red Mill Whole Grain Store, which is the only place in the world you can buy Bob’s Red Mill gluten-free baking mixes in a bulk bin. Now that’s a souvenir. There’s also a restaurant on-site, with a menu that notes wheat-free selections but not gluten-free items. This article was originally printed in the September/October 2015 issue of Gluten-Free Living.